Documents from the Supreme Court nominee's time in the White House could clear up key issues. It’s true that whatever’s in the millions of so-far-unseen documents related to Brett Kavanaugh’s time at the White House is unlikely to change any senator’s mind on his nomination to the Supreme Court. It’s also true that Democrats have every incentive to push Kavanaugh’s confirmation hearing past the November election, when they may regain the majority, just as Senate Republicans have every reason to hold it before. But none of that matters when the Senate has a job to do, and in this case that job, prescribed by the Constitution, is a thorough and transparent review of Kavanaugh’s record preceding a vote on his nomination, however long it takes. If confirmed, Kavanaugh will receive a lifetime appointment to the nation’s highest court; once politics is removed, it becomes clear that senators – and the public – should have all relevant information before making such a consequential decision. As it stands now, that won’t be the case. While senators have the 300-plus decisions handed down by Kavanaugh while at the U.S. Court of Appeals for the D.C. Circuit, they will have only a small portion of the records produced by the nominee while he worked for President George W. Bush. Those records rest at the National Archives, which, under federal law, reviews and releases such documents at the Senate’s request. Senate Republicans have outright refused to ask for documents Kavanaugh produced while staff secretary, and the majority of records they have requested – from his time in the White House Counsel’s Office – won’t be ready by the time Republicans plan to hold a vote in late October. Republicans say that the decisions Kavanaugh made on the bench are what’s important. They argue that the records hunt amounts to a fishing expedition, as the number of documents at the National Archives related to Kavanaugh far exceeds the number produced by previous nominees. But there isn’t some imaginary cutoff point past which the Senate can’t investigate. There’s no arbitrary limit to the number of pages senators can review. Their job is to look at a nominee’s full record, and that’s what they’ve done for previous nominees, from presidents both Republican and Democratic. It’s just that Kavanaugh’s work in Republican politics and public service have left a paper trail longer than most. And his time in the White House is clearly relevant – Kavanaugh himself said his time as staff secretary was “the most interesting and informative for me” in informing his judicial career. 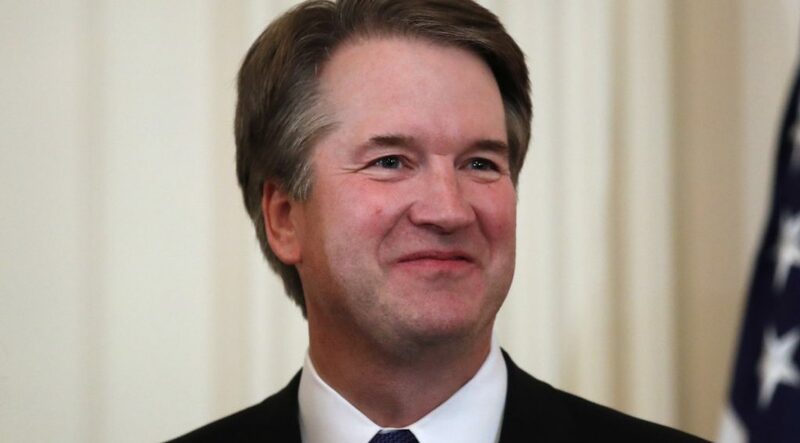 The records could show his thoughts on issues such as executive power and presidential privilege – issues becoming more important by the day – and clear up whether Kavanaugh was telling the truth when, at his 2006 Circuit Court confirmation hearing, he said he knew nothing about the Bush administration’s warrantless surveillance and torture programs. But we really don’t know anything about those documents except that they are part of Kavanaugh’s record, and anyone calling for a complete examination of the nominee should also be calling for their release. That includes Maine Sen. Susan Collins, who met with Kavanaugh last week. The Republican, seen as a key vote in the confirmation, says she remains undecided, and will wait until Kavanaugh’s hearing before making a decision. “You never know what questions are going to come up at a Judiciary Committee hearing,” Collins said. We don’t know what’s in those archived records, either – and we never will unless someone like Collins steps up and demands them.